In order to better serve our CCD teachers the Office of Religious Education has a variety of materials that correspond to the Faith and Life Series published by Ignatius Press. 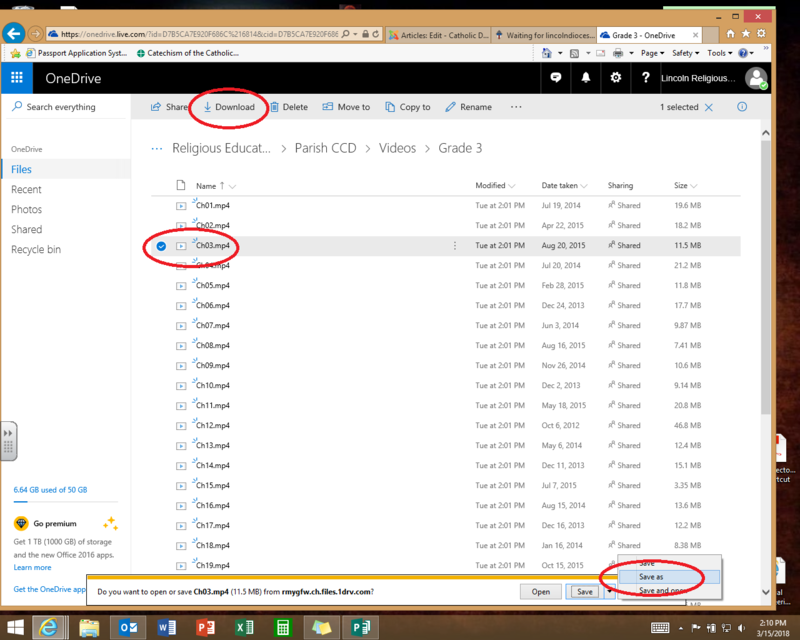 In addition to the Parish CCD Curriculum which provides a condensed and more manageable amount of material, the Office of Religious Education had developed a four-point set of resources for every chapter in every grade level of CCD. In order to make these materials more usable for teachers the components can be downloaded, modified, and commented upon. 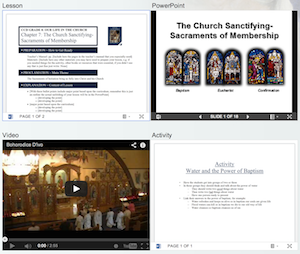 If you do not have internet access in your CCD classroom, you can download helpful videos for any chapter of your grade level. To download, simply click on this video link and choose your grade level. 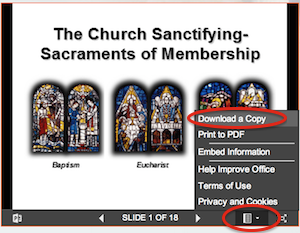 Next, click on the blue arrow in front of the chapter you want, then click download. You will need to indicate "Save as" in order to save the video to a jump drive or other portable device.